The University of Alaska Fairbanks has become the fourth university in the nation to earn the Quality Matters’ Online Learner Support Certification. 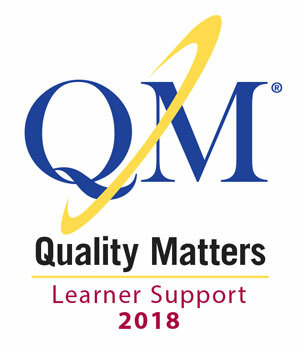 Quality Matters is an international, U.S.-based nonprofit organization that is recognized as a leader in quality assurance for online education. The Online Learner Support Certification recognizes programs that provide all the critical student and academic services needed for learner success and use learner feedback to continuously improve those services. “As our online population grows, we want to make sure we are providing accessible support to all UAF students, whether they are located in Fairbanks or Finland,” said Tim Stickel, UAF eCampus student services manager. This certification exemplifies UAF’s commitment to continuously improving quality and being responsive to students’ needs. It will help all departments, not just eCampus, ensure their services are seamless and equitable for UAF students around the world. UAF eCampus students are located in 250 Alaska communities, all 50 states and 29 countries. The Quality Matters review team was particularly impressed with the tech support available and the high satisfaction ratings it got from online students, the programs in place to help students succeed academically, and the variety of ways UAF accepts student feedback, among other things. This is the second program-level Quality Matters certification UAF has earned. Earlier in 2018, UAF’s Master of Education in Special Education program became the first online special education program in the nation to earn the Quality Matters’ Online Program Design Certification.